Welcome to Econo Tree Service! Give us a call today, and let us start working for you. Don’t let “tree hackers” land you with expensive repairs. Call Econo Tree Service today! 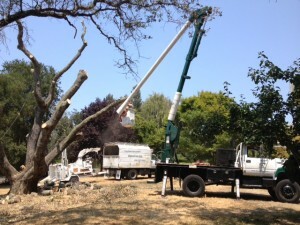 Econo Tree Service, Inc is a full service tree company located in Redwood City. We service the Peninsula from as far north as Millbrae, and down south to Santa Clara. We offer professional tree pruning, tree removal, fertilizing, pest management and Arborist services. We pride ourselves on providing outstanding customer service from the time we pick up the phone, to the time our men finish the job. Natural looking landscapes with healthy trees are what we do best. We offer free estimates where we determine the best course of action for your trees. Whether it’s thinning trees to keep them balanced, pruning branches away from your house, or treating your trees for disease and pests – we diagnose what is best. Our highly skilled workers, under the direct supervision of a certified Arborist, work diligently to complete the job in a timely manner, leaving your home looking spectacular. We service Redwood City, Menlo Park, Atherton, Woodside, Portola Valley, Palo Alto, San Mateo, Belmont, San Carlos, Hillsborough, Los Altos, Los Altos Hills, Sunnyvale, Redwood Shores, East Palo Alto, and Mountain View, California. There is a lot more to tree service than just planting a tree and watering it. As the tree grows it needs additional attention in order to ensure that it grows strong and healthy. Trees in our yards and neighborhoods serve many purposes. While the main reason is to add a touch of beauty to property, they do a lot more. A street or yard lined with tall, majestic trees is much cooler than one without – thanks to the shade provided. In order for a tree to grow and stay healthy you may need to call a professional from time to time. Econo Tree Service provides all your tree care needs from our home in Redwood City, California. We’ve been doing it for over 25 years and service the entire Peninsula from Millbrae to Santa Clara. To find out more about the services provided by our Certified Arborists, contact us at Econo Tree Service today. Phone or e-mail for your free estimate. If a tree becomes unhealthy from disease or pest infestation, removal is often the best solution to prevent other trees from developing issues. Our Certified Arborists have the skill, knowledge and equipment to get the job done right. Our team is equipped to expedite safe removals: employing a state-of-the-art 21-ton crane for tree removal use, as well as a fleet of bucket trucks complemented by a 21″ diameter wood chipper. Finally, Econo Tree Service provides stump grinding services to our removal customers. We follow the guidelines set out in the Redwood City, California Municipal Code on Tree Preservation. For a free estimate on our tree removal service contact Econo Tree Service by phone or e-mail today. There is a particular skill in tree pruning and trimming. It is a work of art to see a beautifully manicured tree or group of trees but there is also a right and wrong time to tackle this project. Trimming and pruning puts a variety of stresses on trees and tree growth. This is why it is important to consult with a professional who can identify the correct time in a tree’s growth cycle to trim or prune. The Certified Arborists at Econo Tree Service can examine your trees and determine when they are ready for this service. To find out more about our tree pruning/trimming service call or e-mail us today. Spraying used to be the only solution for managing pesky pest problems with your trees. Now, with a combination of our monitoring, maintenance & cultural practices, we can often help you avoid resorting to indiscriminate usage of toxic chemicals. We are licensed & equipped to provide spraying services. However, we will only apply that service as a last resort. Find out more about our monitoring & cultural practices by visiting the plant health care link above. Trees provide vital elements in our lives, especially during drought season. 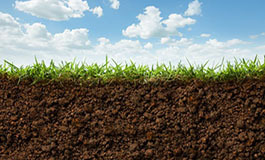 They reduce heat, fight air pollution and erosion. They provide a habitat for all other living things ranging from plants to animals. Without proper care during drought, trees can show symptoms that could be mistaken for other health issues. The Certified Arborists at Econo Tree Service can properly identify trees suffering drought stress and suggest remedies. 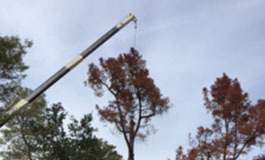 Econo Tree Service also provides Tree Health Care Service to our customers throughout the Redwood City, California region. This is where we examine your trees and identify any that may have conditions resulting from pest or disease infestations. Another service we offer is Tree Consultations and Evaluations. 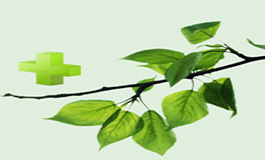 With this particular service we complete a full assessment of the trees on your property and look at various factors. Our assessment covers such items as tree health, risk and hazard potential, drilling to determine decay and tree management plans. For your free estimate on this and any of our services contact Econo Tree Service today by phone or e-mail. Nothing beats the sound of a crackling fire and the warmth that comes from one on a chilly morning or evening. We can provide you with the best quality firewood available to help you take the chill off and save a little on your heating bill. Mulch is an essential addition to any landscaping project as it provides a way for trees and plants to stay healthy. Mulch assists them in retaining moisture which improves soil conditions. 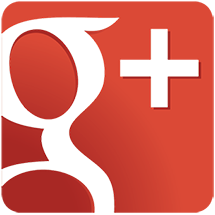 We offer both of these services to our customers in and around the Redwood City, California area. To find out more about our firewood and mulch delivery service call or e-mail us at Econo Tree Service today. 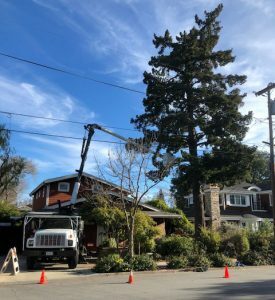 Econo Tree Service has been in business for over 25 years serving the Redwood City, California region. The business is owned and operated by a Certified Arborist who knows how important it is to properly care for trees and shrubbery. Henry Kramer started Econo Tree Service as a small business but demand for his professional service required expansion. Now the business services clients ranging from homeowners and contractors to property management companies. Econo Tree Service provides professional tree pruning, tree removal, fertilizing, pest management, stump grinding, firewood and mulch delivery and all other forms of tree care. To find out more about the different tree care programs offered at Econo Tree Service, call or e-mail us today. We’ll visit your property to give you an accurate – and free – estimate on the work required specific to your needs.